DAF expands market position in Europe - DAF Trucks N.V.
DAF Trucks’ market share in the heavy-duty segment (16 tonnes+) of the European truck market increased to 14.6% in 2015. "We have achieved growth in almost all major markets", says Richard Zink, member of the DAF Board of Management and responsible for Marketing & Sales. "We supply the best and most fuel efficient trucks ever, important drivers behind this growth." With a market share of 14.6%, DAF further strengthened its position in the heavy-duty segment of the European truck market in 2015 (2014: 13.8%). DAF saw its market share increase in major truck markets, such as Germany (10.8% market share), Great Britain (23.9%), Spain (11.3%), Poland (18.9%), the Netherlands (29.4%) and the Czech Republic (17.2%). In France and Italy, its market share stabilised at 12.0% and 10.2% respectively. In the heavy-duty segment, DAF is the market leader in the Netherlands, Great Britain, Poland and Hungary. In Belgium and the Czech Republic, DAF is market leader in tractors. In 2015, DAF registered around 39,400 vehicles in the European heavy-duty segment, an increase of 26% compared to the more than 31,200 trucks a year earlier. Total market for heavy-duty commercial vehicles rose by about 19% to more than 269,000 units, compared to just over 226,000 in 2014. For this year, DAF expects the European market for heavy-duty trucks to be between 260,000 and 290,000 vehicles. In the light segment - in which DAF offers the LF - the European truck market increased by more than 5% in 2015 to 49,000 units (2014: 46,500). DAF saw its market share in this 6 to 16-tonne class increase slightly from 8.9% in 2014 to 9.0% in the past year. An important contribution came from DAF's success in the UK, where it achieved a market share of over 36% in the LF segment. DAF has also further strengthened its market position outside the European Union. DAF made its entrance into Malaysia and Colombia. In Taiwan, a new assembly plant was opened to double production capacity for the LF, CF and XF models. With a market share of 17.8%, DAF is the largest European truck brand in Taiwan. The DAF factory in Ponta Grossa, Brazil increased production and commenced assembly of the versatile CF series and the PACCAR MX engine. DAF introduced its complete Euro 6 range in Turkey, where the new emission legislation came into effect on 1 January 2016. "We are proud to have further reinforced our market position in 2015, both within and outside Europe", says Richard Zink, Director of Marketing & Sales. 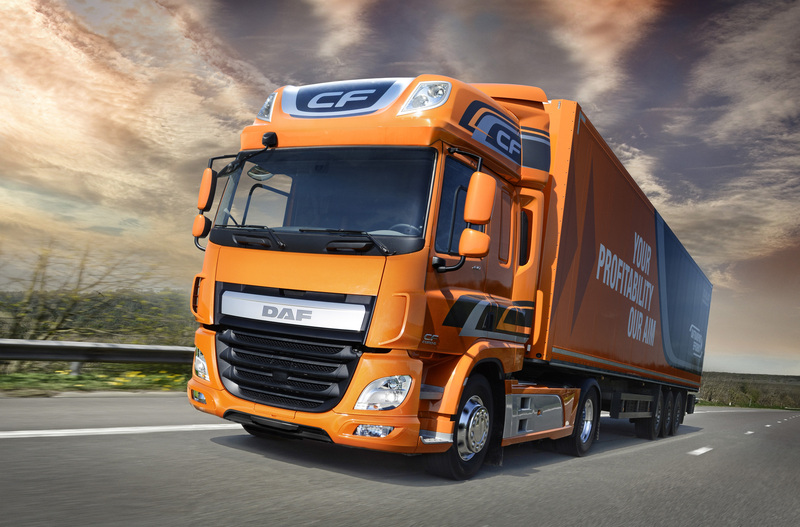 "Over the past year, DAF has introduced important product innovations that make our popular CF and XF models up to 5% more fuel efficient. In line with our DAF Transport Efficiency philosophy, numerous innovations were also implemented for the LF distribution truck, resulting in an even greater return per kilometre. Along with our extensive package of services and professional dealer organisation, DAF's comprehensive product range forms the basis for continuing growth toward our medium-term objective of 20% market share in Europe."